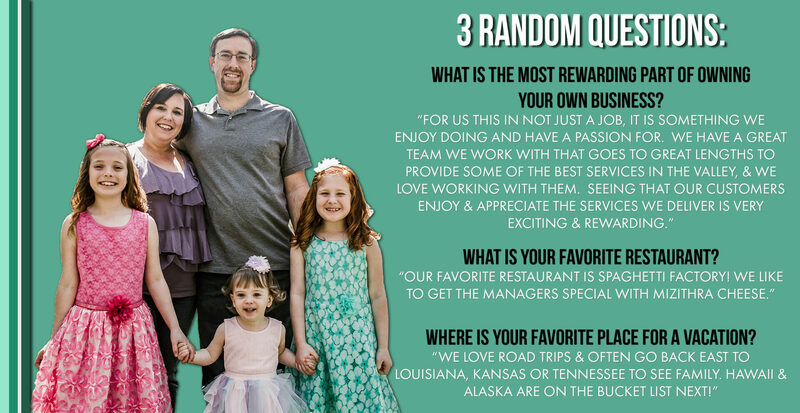 Employee Spotlight Series – Meet Ryan & Joslyn! Name: Ryan & Joslyn W.
In 1997, Ryan joined the OACYS Team as a high school senior. While away at university, Ryan remained active remotely in a variety of programming and network management projects. After graduating, he returned to the office and assumed full management of the substantial OACYS network. Ryan eventually became the COO of OACYS and was heavily involved in business decisions, planning and expanding the wireless footprint in our local communities. In 2016, Ryan, along with his wife Joslyn purchased OACYS from the founding owners. For several years, prior to purchasing the company, Ryan was acting as the visionary and integrator of the company, overseeing all business operations. The transition to become owner and CEO of OACYS was about as seamless as possible as he had been well groomed for the transition. Joslyn has worked for OACYS for almost 2 years. She started in 2016 as bookkeeper and CFO when Joslyn and Ryan purchased the company from the Olsons. With experience in both banking and retail bookkeeping she was quick to assume the large new responsibility of financial management for OACYS. Joslyn handles vendor payments, payroll, employee benefits, ensuring everyone we owe gets paid in a timely manner. She also fields many account questions from our customer service reps and customers directly at times, while over-seeing expenses. We look forward too many more years with Joslyn keeping the finances in check. The pulse of the company and employees is brimming with excitement. Ryan and Josyln are excellent leaders, evident in the way all the employees rally together to put in 100% on a daily basis to ensure business continues to trend upward to exciting levels. Major projects that will benefit the community are currently in the works and all of the OACYS team is excited to see where Ryan and Joslyn are leading them into ever changing world of technology. Running a business consumes a lot of time and energy, however Ryan and Josyln make sure that they maintain a good work-life balance. They have 3 daughters and are very active and involved in their activities and church. They love to unwind hanging out together as a family at home, enjoying their favorite movies and shows, or enjoying spending time outside and swimming. They do sneak away from the office and home on occasion, as they enjoy family trips to Disneyland and Knott’s Berry Farm. When the opportunity presents itself, they enjoy long road trips to visit family in Kansas, Tennessee and Louisiana. ← Employee Spotlight Series – Meet Michael! Our sign project is finally completed!